24 songs for voice and piano by 13 composers are featured in The Lithuanian Song Anthology, a compilation of sheet music authored and edited by San-ky Kim, a singer and a vocal coach, an associate professor of voice at the Texas Christian University​. Kim, who studied the history of Lithuanian songs, and together with pianist Rokas Zubovas worked on the publication, has truly made an effort to cater to foreign artists by including English translations of the texts, as well as their phonetic transcriptions. The Anthology by Kim was published by the Music Information Centre Lithuania and is a product of his year-long research at the VDU Music Academy in Kaunas. The volume is a collection of works that represent the developments of an art song genre in the 20th century, as well as the literary traditions in Lithuania at the time, and covers a wide range of styles, from the interwar classical modernity, through the post-war sentimentalism, and the neo-romanticism of the 1970s. Among the composers whose works were included in the volume are Juozas Gruodis, Stasys Šimkus, Kazimieras Viktoras Banaitis, Vladas Jakubėnas, Jeronimas Kačinskas, Balys Dvarionas, Konstancija Brundzaitė, and Mindaugas Urbaitis. The works in the Anthology are well familiar to the local artists and concert music aficionados, and one might even assert that they represent the gems of the Lithuanian art song genre. 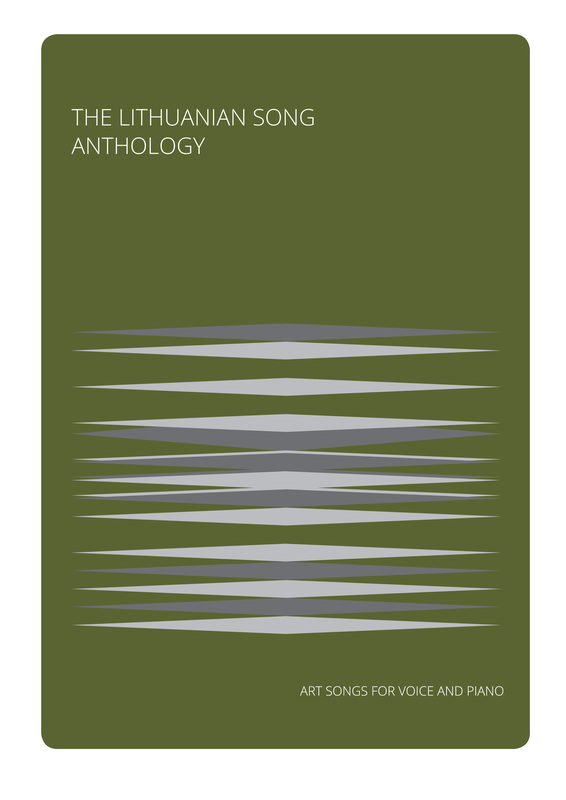 The primary goal of the Anthology was to reach out to the international singers’ community, which until recently had little contact with Lithuanian songs, and almost no access to them. It is not surprising given the complexity of the Lithuanian language and the intricacies of the poetic connotations. The compilation, which includes word-for-word and literary translations of texts, as well as detailed instructions on pronunciation, is the first attempt to ‘export’ Lithuanian art songs overseas. The overarching aim was to cater to foreign singers and to equip them with tools for emotionally imbued performance, where poetic metaphors woven into the musical fabric of a song can be internalized and processed. One of the greatest attributes of the publication are short artistic biographies of the featured composers and poets that help illustrate the complicated and painful fate of the 20th century Lithuania, and how it affected the developments of the national musical narrative. The foreword by professor San-ky Kim not only explicates his personal connection with the Lithuanian art song heritage, but also further situates it in a broader historical context. The publication was possible thanks to the funding provided by the Lithuanian Council for Culture and the Ministry of Culture of the Republic of Lithuania, as well as Fulbright scholarship program that enabled professor San-ky Kim to investigate the intricacies of Lithuanian songs and language during his artistic residence in Kaunas. Proceed to content overview or to order a copy of The Lithuanian Song Anthology. The online shop accepts all major credit cards, including: Visa, MasterCard, Maestro, American Express and PayPal. Click here for more details about our online eShop.